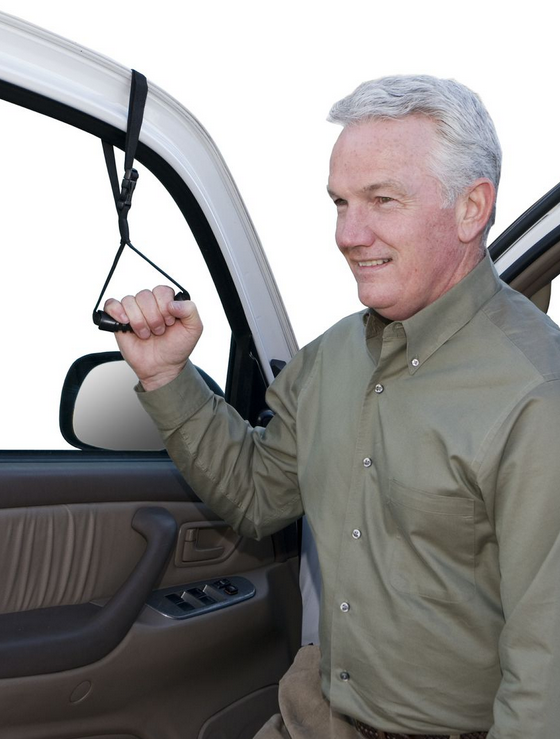 Standers Car Caddie is a handy bar that creates an instant extra support handle, making it remarkably easy to get in and out of a car, van or truck. 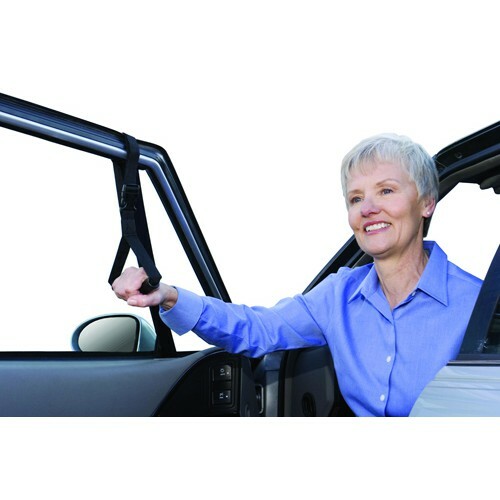 To attach this streamlined piece of mobility equipment, simply roll down your window and attach the Car Caddie to instantly add an extra support handle to the door of any vehicle. 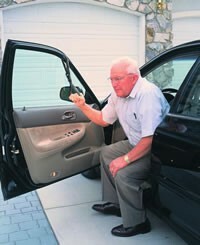 Standers Car Caddie fits any framed window and quickly adjusts in length to fit your desired preference. This handy bar doesn't obstruct the window or the door; the window can be rolled up and the door can be completely shut once installed. 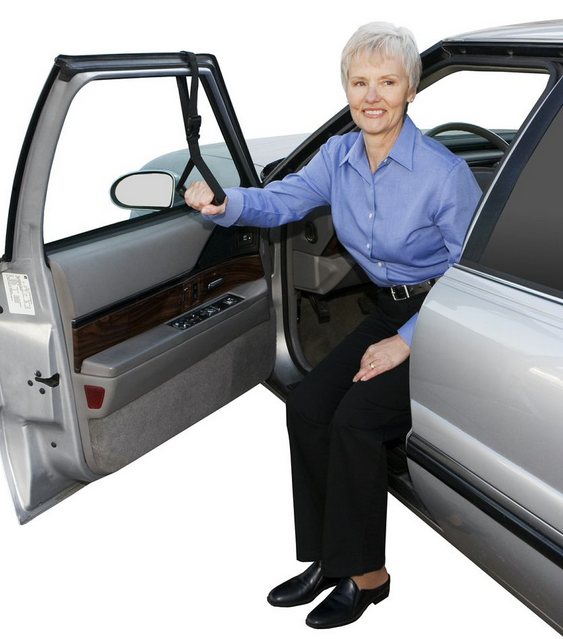 A stroke of pure genius, this piece of mobility equipment completely transforms the process of entering and exiting a vehicle into a quick, painless and hassle-free process. You might also be interested in some of our additional best-selling mobility equipment, such as Adult Anterior Safety Roller by Drive Wenzelite Rehab. 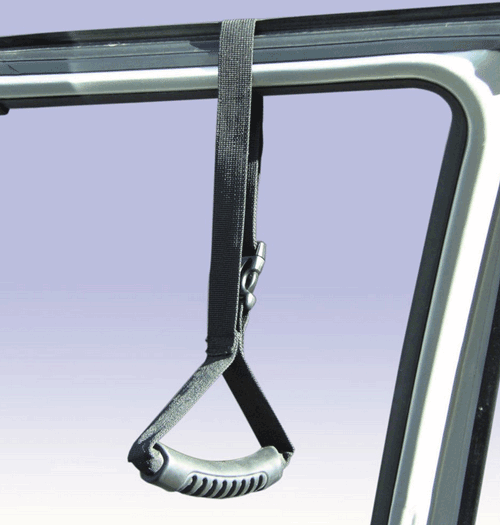 Fits any size of framed window in car, truck or van. Adjusts in length to fit your desired preference. Can be installed and removed within a matter of seconds. Quality nylon strap construction and heavy-duty cushioned grip handles. 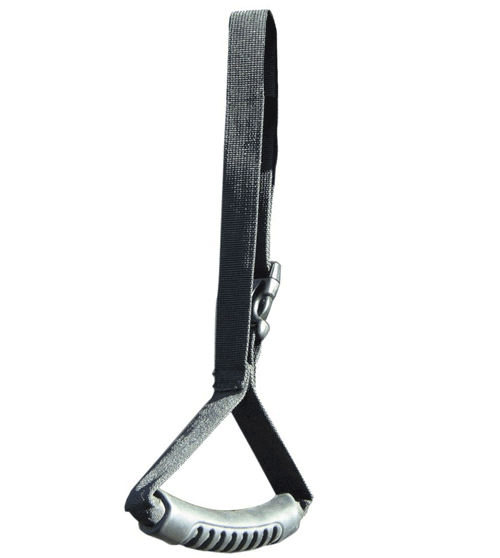 Contoured buckle and adjustable handle height. My 94 yo mother loves this item. 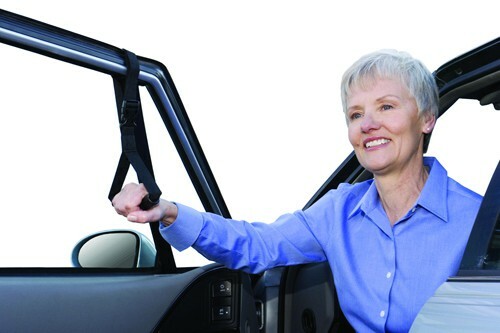 It is a perfect handle for her to grab when she is transfering from her wheelchair into and out of a vehicle. She can grab and pull her body in the direction needed. The clasp keeps it secure during the transfer process.